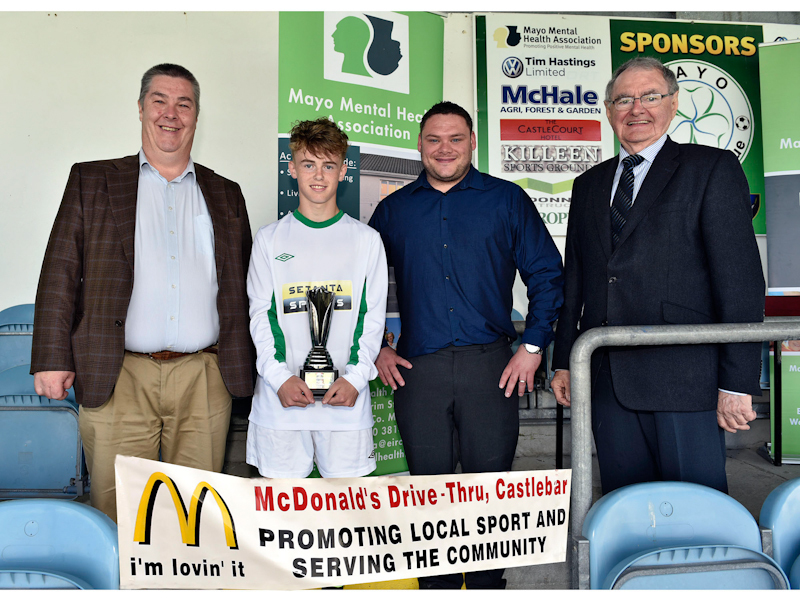 Pictured in Milebush at the Mayo International Cup under 16's Tournament in Association with the Mayo Mental Health Association and McDonald’s Restaurant Castlebar. 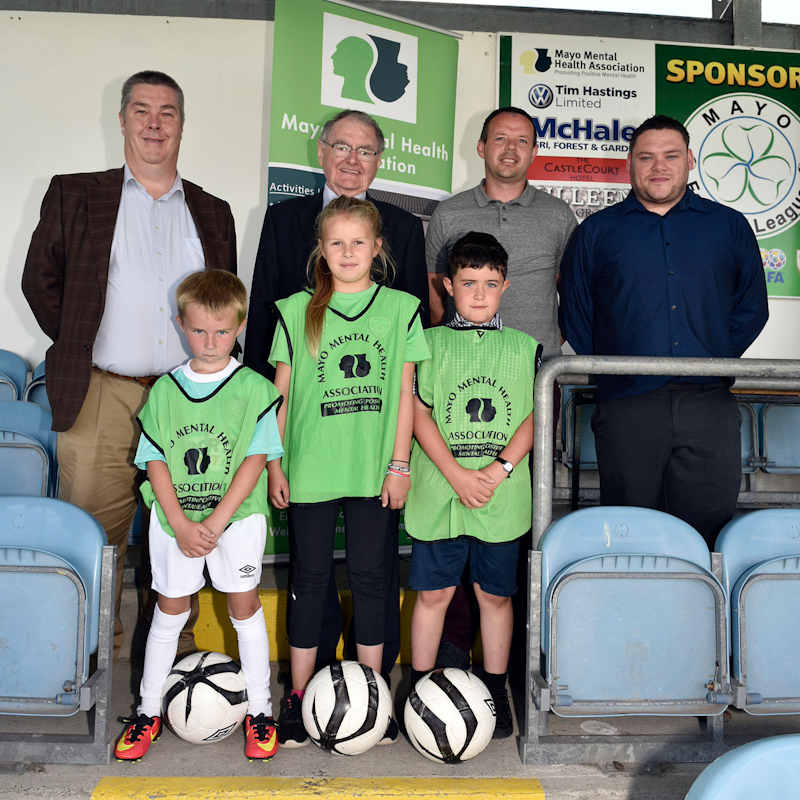 Back l-r; Martin Cramp, McDonald’s Restaurant Castlebar, PJ Murphy, Chairman MMHA, Niall Dunne, Mayo Roscommon Mental Health Development Officer and Jonathan Heffernan, Holland & Barrett (sponsor) with the ball boys and girls for the tournament front l-r; Dillon Conway, Lauren Bourke and Peter Carolan. Photo © Ken Wright Photography 2016. 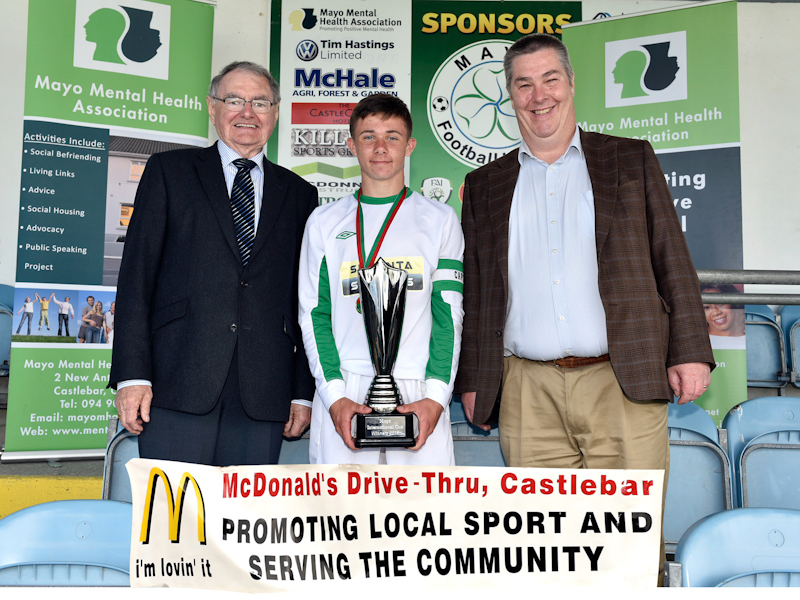 Pictured in Milebush at the Mayo International Cup under 16's Tournament in Association with the Mayo Mental Health Association and McDonald’s Restaurant Castlebar. PJ Murphy, Chairman MMHA presenting the cup to the Connacht team also in the picture Martin Cramp, McDonald’s Restaurant Castlebar . Photo © Ken Wright Photography 2016. 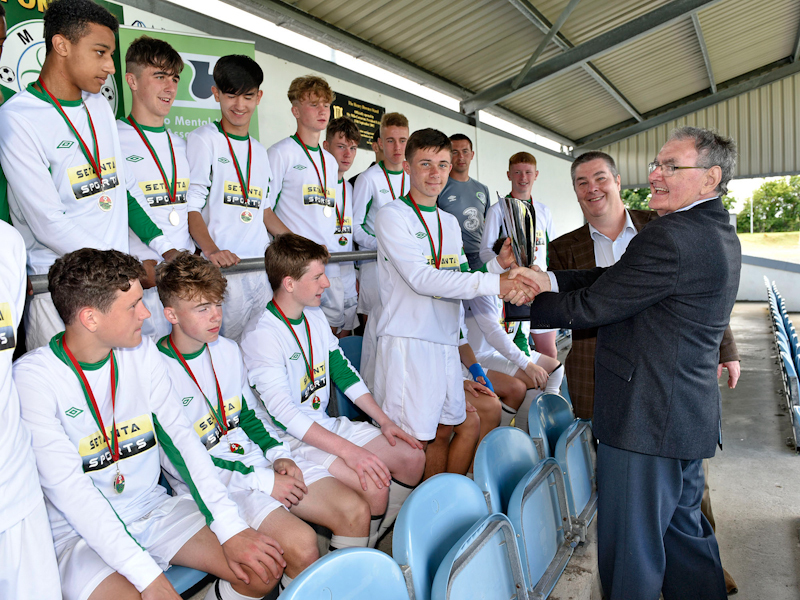 Pictured in Milebush at the Mayo International Cup under 16's Tournament in Association with the Mayo Mental Health Association and McDonald’s Restaurant Castlebar, the jubilant winning Connacht team with PJ Murphy, Chairman MMHA, Martin Cramp, McDonald’s Restaurant Castlebar, Jonathan Heffernan, Holland & Barrett (sponsor), Niall Dunne, Mayo Roscommon Mental Health Development Officer team managers and coaches. Photo © Ken Wright Photography 2016. 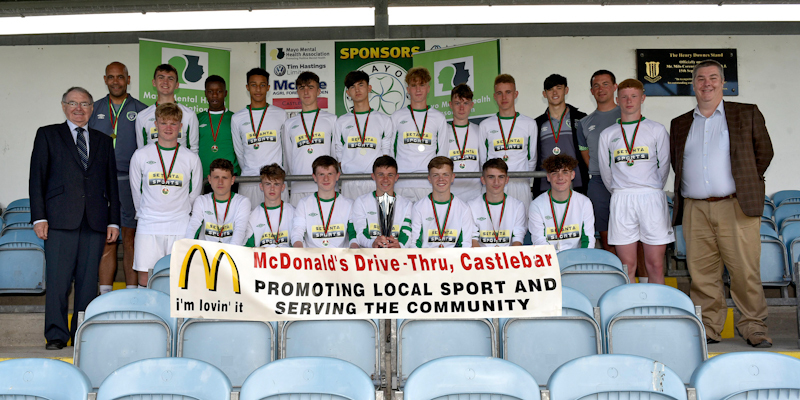 Pictured in Milebush at the Mayo International Cup under 16's Tournament in Association with the Mayo Mental Health Association and McDonald’s Restaurant Castlebar, the jubilant winning Connacht team with PJ Murphy, Chairman MMHA, Martin Cramp, McDonald’s Restaurant Castlebar, team managers and coaches. Photo © Ken Wright Photography 2016. 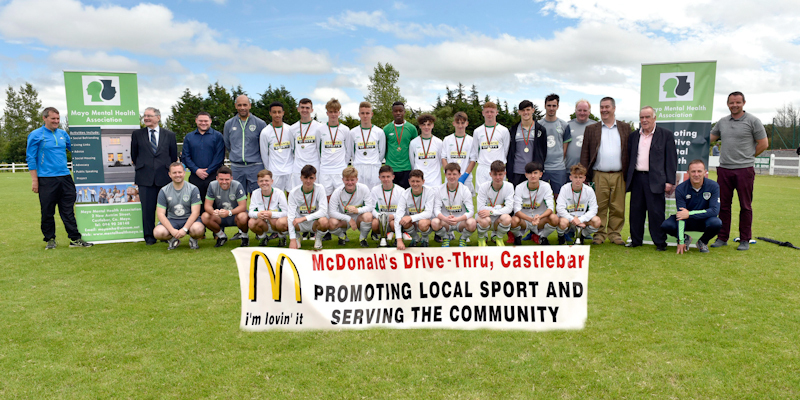 Pictured in Milebush at the Mayo International Cup under 16's Tournament in Association with the Mayo Mental Health Association and McDonald’s Restaurant Castlebar. Connacht team captain accepting the Tournament Cup from l-r; Martin Cramp, McDonald’s Restaurant Castlebar, Jonathan Heffernan, Holland & Barrett (sponsor) PJ Murphy, Chairman MMHA. Photo © Ken Wright Photography 2016.